Stanley Siu grew up and studied in New Zealand where he received his Bachelor of Architecture from UNITEC School of Architecture. 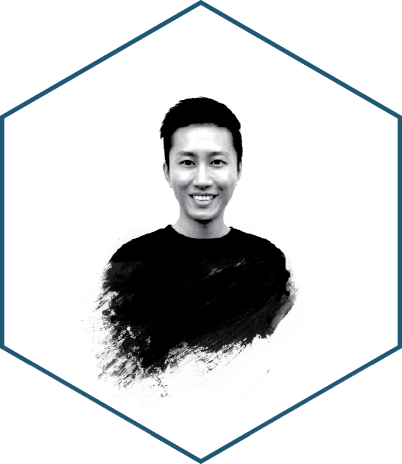 He returned to Hong Kong after graduation and has practiced as an architect on a number of residential, commercial, master planning, cultural and sustainability projects in Hong Kong and Overseas. In 2014, Stanley has received the Young Architect Awards 2013 organized by the Hong Kong Institute of Architects. This is one of the most prestigious awards in Hong Kong to honour and acknowledge the talents and contribution of Stanley’s achievements in the field of Art and Architecture. In 2012, Stanley founded the international awards winning Hong Kong based architectural firm Daydreamers Design. Daydreamers Design is recognised for its work in architecture, master planning, landscape design, community development and art installation locally and globally. Daydreamers Design aims to synthesize individual methodologies and educe sophisticated design solutions through research, curatorship, and collaboration with various artists and designers, as well as active engagements in social dialogue. With the leadership of Stanley, Daydreamers Design have participated the 2013 Lantern Wonderland competition organized by the Hong Kong Tourism Board and they have received the Gold Award. The winning design “Rising Moon” was exhibited during the Mid-Autumn Festival at the Victoria Park, a combination of large-scale public art and architecture. Sustainability was the fundamental concept; Stanley has decided using recycled water bottles and low energy consumption LED lights to construct the 20 meters diameter hemisphere and it was well received by the public. In 2015, Stanley was invited by Hong Kong Federation of Youth Group to design a 23 meters tall “Hong Kong Christmas Tree” by the Victoria Harbour. He decided to continue the sustainable idea by using traditional Hong Kong’s bamboo scaffolding construction and recycled aluminium cans for this installation work. In 2015, Stanley was selected by the Hong Kong Institute of Architects as the curator for their first overseas architecture exhibition in Taiwan, “Past. Present. Future. Tracking Hong Kong Architecture” showcased thirty winning projects from the Hong Kong Institute of Architects Annual Awards and the Hong Kong Young Architects’ Exhibition at Taipei Songshan Cultural Creative Park. Within the same year, Hong Kong Institute of Architects Biennale Foundation and Hong Kong Arts Development Council appointed Stanley as the Chief Curator for the 15th Venice Biennale International Architecture Exhibition – Hong Kong Exhibition “Stratagems In Architecture, Hong Kong In Venice”. Stanley’s professional activities and interests are split equally between architecture and contemporary art. His artworks has been exhibited in the Hong Kong Heritage Museum, the Hong Kong Maritime Museum, Taipei Songshan Cultural Creative Park, Artistree, Art Basel Hong Kong, Art Central, Art Taipei and Affordable Art Fair. In 2013, Stanley became partner and curator at 100ft Park, an artist run space aiming to provide an open platform for the local young artists to share their creative thoughts. Stanley’s passion in architecture has extended from profession to institution, as the chairman of the Community Development Committee, he helped organizing a number of major events for the Hong Kong Institute of Architects in collaboration with other Non-Profit Organizations. organizing a number of major events for the Hong Kong Institute of Architects in collaboration with other Non-Proft Organizations.